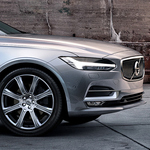 For many decades, Volvo has been recognized for its superior family sedans and wagons. The V90 luxury wagons carry on this tradition by incorporating dozens of safety and comfort appointments. With a turbocharged engine, the V90 gives power when needed together with excellent fuel economy. A turbocharger is intended to provide power when needed, such as climbing hills. The Volvo V90’s equipped with turbos can supply over 300 hp while still obtaining up to 35 mpg on the highway. To provide handling for all of that power, Volvo has supplied the V90 luxury wagon with electronic traction control. The computer management system constantly monitors the braking, speed and engine torque while automatically adjusting for conditions. In addition, the V90 series suspension can be set in two modes by the driver to suit driving conditions. Our customers come away impressed when inspecting the V90 series. Our trained staff is on hand to answer all questions and explain why the Volvo is the right fit for you.